Honor has introduced Honor 9N Smartphone with Glass body and Dual Rear Camera. Honor 9 Lite also comes with similar Specs. 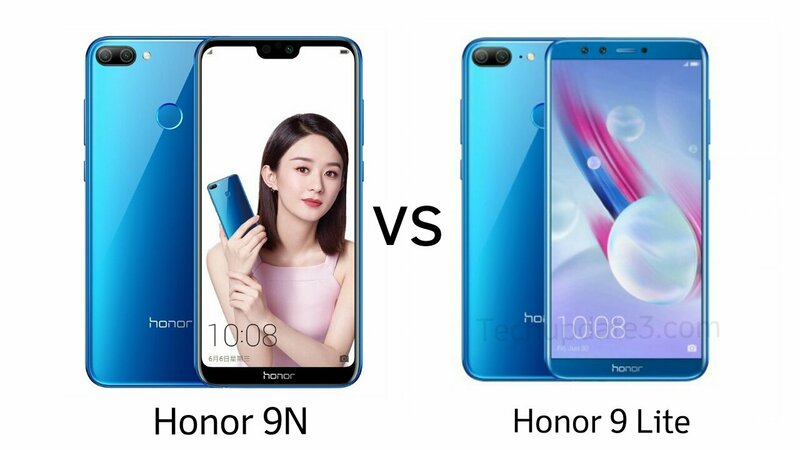 Check out Price, Specs, Features comparison between Honor 9N and Honor 9 Lite. Both Phones have Glass body, Fingerprint Scanner on the Rear. 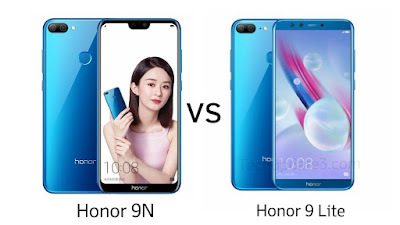 Honor 9N has a 5.84-inch (1080 x 2280 pixels) Full HD+ 19: 9 aspect ratio display whereas Honor 9 Lite has 5.65-inch (2160 x 1080 pixels) Full HD+ 18:9 2.5D curved glass display. Both Phones are powered by Octa-Core Kirin 659 processor with MaliT830-MP2 GPU. Honor 9N comes with 3GB/4GB RAM and 32/64/128GB storage options whereas Honor 9 Lite has 3/4GB RAM and 32/64GB of internal storage both phones have support for MicroSD card slot which is Hybrid. On Camera, Honor 9N has a 13MP rear camera with LED flash, secondary 2MP camera and 16MP front-facing camera whereas Honor 9 Lite has a 13MP rear camera with f/2.0 aperture, LED flash, secondary 2MP camera and 13MP front-facing camera, secondary 2MP camera. Connectivity options on both phones include Dual SIM 4G VoLTE, WiFi 802.11 b/g/n, Bluetooth 4.2, GPS, Both phones do not support Dual 4G VoLTE. Both Phones are Packed with a 3000mAh Battery does not support fast charging. Honor 9 Lite is priced at Rs 10,999 for 3GB RAM and Rs 14,999 for 4GB RAM. Honor 9N comes in Lavender Purple, Robin Egg Blue, Sapphire Blue and Midnight Black colors, is priced at Rs. 11,999 for the 3GB RAM with 32GB storage version, Rs. 13,999 for the 4GB RAM with 64GB version and the 128GB version of it costs Rs. 17,999. It will be available exclusively on Flipkart starting from 31st July. Honor 9N has Notch Display, Single Front Camera whereas Honor 9 Lite has Dual Front Camera, Same Processor, and Battery Size.